Manufacturer of a wide range of products which include digital metal hardness tester, digital coating thickness gauge, poldi type metal hardness tester, rockwell hardness tester, portable type hardness tester and analog hardness tester. We are the pioneers in the industry for trading and distributing Digital Metal Hardness Tester. The offered tester is capable of testing the relative hardness of metals in various industries including civil engineering and steel. It can conveniently measure large and heavy work pieces. Further, it is user friendly and saves from the hassle of manual measurements. We are a trusted name in the industry for distributing and trading Digital Rubber Hardness Tester. 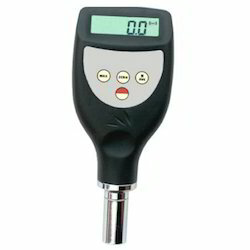 This tester is designed for providing customers with ultimate measuring solutions. 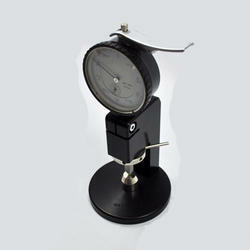 It is used for measuring the thickness of natural and synthetic rubber. The offered device is digital and is easy to use. It has a large display area and an exceptional battery backup. Backed by our modernized logistics, we can make this tester available in bulk quantities. 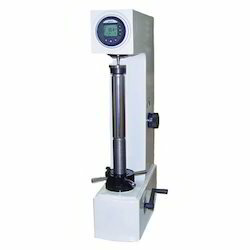 We have set a benchmark in the industry for distributing and trading Rockwell Hardness Tester. The offered tester is widely used for measuring the hardness of ferrous and non ferrous metals. This device is exceptional in performance and is effective in decreasing the down time. It provides with ultimate measuring solutions and precise measurements. We are renowned for meeting with deliveries within the stipulated time period. Our organization is among the tested name in the industry for distributing and trading Portable Type Hardness Tester. The offered product has earned us huge profits and loads of appreciations for being in sync with the international standards and the prevalent market trends. It is exceptional in performance and is light in weight. 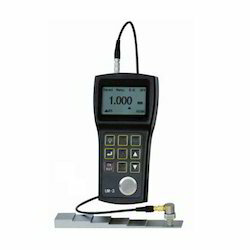 This tester is used for measuring the hardness of cast steel, cast iron and forged parts. 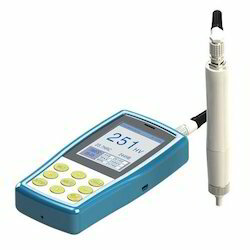 We are the pioneers in the industry for distributing and trading Analog Hardness Tester. The offered product is extensively used in pharmaceutical industries for testing the hardness of the manufactured tablets. It is light in weight, portable and flawless in quality. Known for providing with ultimate measuring solutions and accurate measurements, it is highly regarded among our valued customers. 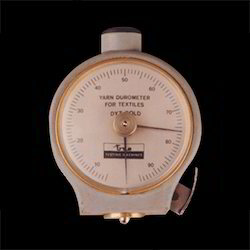 We are among the celebrated names in the industry for distributing and trading Yarn Durometers. The offered product is highly demanded for testing the winding density of textile cones, bobbins, quills and packaging dyeing tubes. It is compact in size and dimensionally accurate. Being procured from renowned vendors, it is durable and resistant to scratches. We are among the prominent distributors and traders of Brinell Microscope. 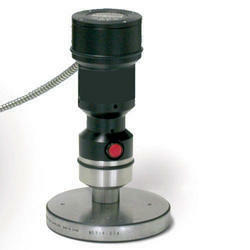 The offered microscope is light in weight and can be carried from one place to another. It is used for measuring the hardness of ferrous and non ferrous metals in industries including metal, scientific research institutes and mines. Being exceptional in quality, it is accurate in measurements and is user friendly as well. 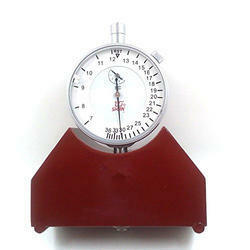 We are instrumental in distributing and trading Screen Tension Meter, which is exceptional in performance. It is used for measuring the hardness of nylon, polyester and steel mesh. 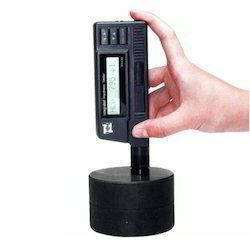 The offered screen tension meter is compact in size, light in weight and portable. It is user friendly and provides with accurate measurements within a short period of time. We are known for the timely delivery of orders as well. We are among the distinguished names in the industry for distributing and trading Portable Thickness Gauge, the offered gauge is light in weight, portable and exceptional in performance. It is used for measuring the thickness of non ferrous and ferrous substances. The product is made in a sophisticated manufacturing unit and provides with accurate measurements. It is cost effective and can be supplied in bulk. It's available in Handy and portable type. Workpiece surface temperature:- 10 ~ 60 ?? ?